A law in New York’s biggest town allows the town to demolish homes deemed “dangerous” or “abandoned” — and it is affecting hundreds of people. Pei-Sze Cheng reports. 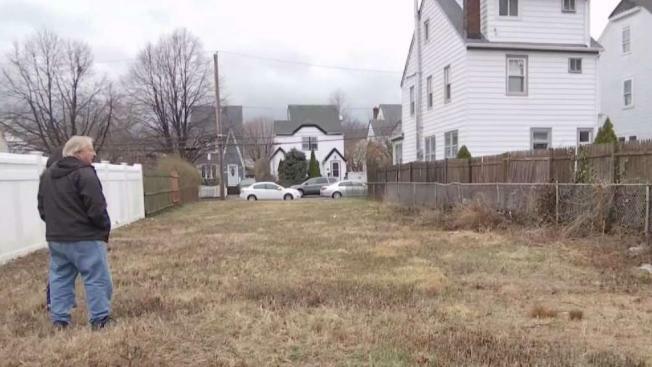 The town's building commissioner told the I-Team that the department's sole responsibility is to make sure the dwelling is "secure and safe"
A law in New York’s biggest town allows the town to demolish homes deemed “dangerous” or “abandoned” — and it is affecting hundreds of people. Williams went to Florida in December 2014 for knee surgery. When he returned months later in August, his house was gone. The Town of Hempstead tore down Williams’ house according to Chapter 90 of town law. It’s a law that allows building inspectors to identify and demolish structures that they deem are dangerous or abandoned. Currently, the town is dealing with 850 open Chapter 90 cases. The town’s definition of dangerous is defined, in part, as something that is "…unsafe structurally, or a fire hazard or a nuisance to the general public." "The house was not a danger. It’s just a ridiculous statement," Williams said. It wasn’t just the house that was a loss for Williams, though. Decades worth of personal belongings and memories — all of them, gone. Now, he is taking the town to court. In court papers, Siegel says notice was sent to Williams’ home via certified mail, which doesn’t require a signature. According to the Chapter 90 law, only “registered mail” is “sufficient evidence” of notice of service. That was in 2015. Fast forward to 2019, and the Hempstead Building Department is still using Chapter 90 to take down homes marked as dangerous. Nancy Bernius told the I-Team her cousin, Robert Tynan, was found dead after being evicted from his Garden City home. “It seemed to me that they just took him out of the house and put him on the street," she said. She says her cousin had a “diminished mental capacity,” and probably felt lost when he was evicted from the house where he lived his whole life. Bernius says her cousin’s body was found 30 miles away from his home, in a Suffolk County park. At his condemned house, the town continues to post letters addressed to him, even though, according to emails obtained by the I-Team, they are aware he is deceased. The most recent letter advises him that a hearing will take place where the town board will vote on the fate of his house. And while tragedy has already struck Phil Williams’ home, he has one warning for his fellow Hempstead homeowners: “If it happened to me, it can happen to anybody."